We are a society of science and technology. It’s been centuries since we’ve believed in magic and mysticism. At least, that’s the trend. Some people believe to this day. 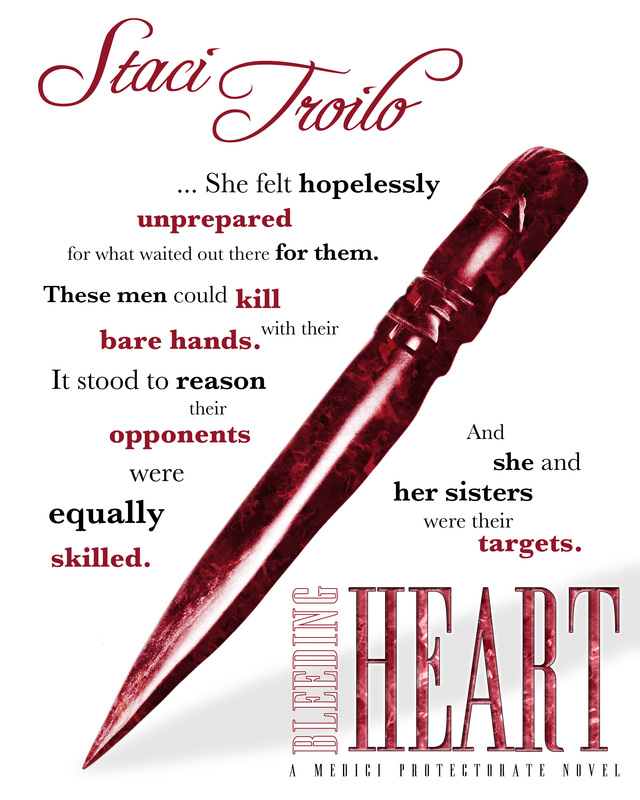 That’s one of the theories posited in my latest release, paranormal romance Bleeding Heart, Book One of the Medici Protectorate Series. If you read paranormal fiction, you go into it knowing societal norms will be challenged. There may be ghosts, witches, werebeasts, the undead… any manner of supernatural aspects. In my novel, a main character uses alchemy to imbue handcrafted marble daggers with magical powers—powers which affect the warriors who use them in fascinating ways. As early as the 1300s and well into the Renaissance, alchemy was forbidden by the Church for several reasons. The uneducated considered it an occult practice, which was a danger to organized religion. The devout felt alchemists dabbled in God’s realm, which was sacrilegious. Also, many alchemists were scam artists who used deception to “prove” their abilities. By 1404 in England, those who worked in alchemy could be punished by death. 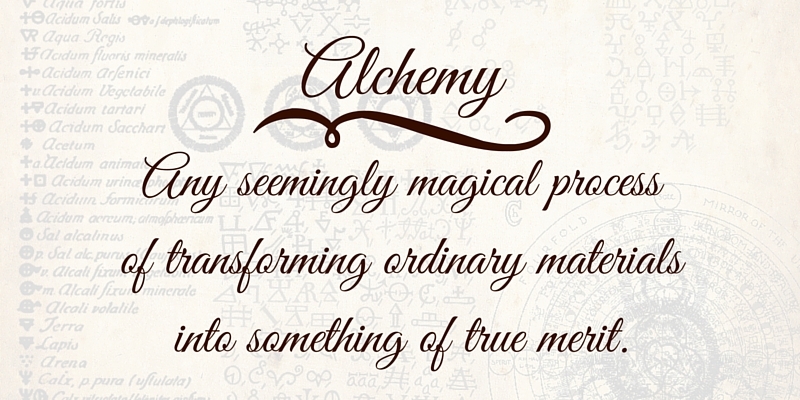 Due to these facts, many alchemists hid their interest in the pursuit. That didn’t stop people from practicing alchemy, though. Famous practitioners include Roger Bacon, Nicholas Flamel, John Dee, Isaac Newton, Paracelsus, and even Pope John XXII. In my novel, I’ve taken liberties with history and made Michelangelo an alchemist. 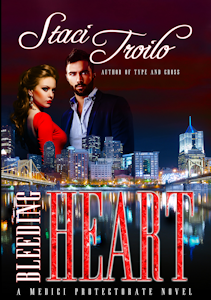 He uses his skills to help the Medici secure their destinies… and in the process, he sets in motion a series of events in modern day Pennsylvania which places one Italian-American family in mortal danger. In Bleeding Heart, the dagger wielded by the warrior is crafted from red marble. The properties of red stones strengthen the body, add vitality to life, and represents passion and lust. This warrior contends with the positive and negative aspects of these traits, and his primary element is fire. 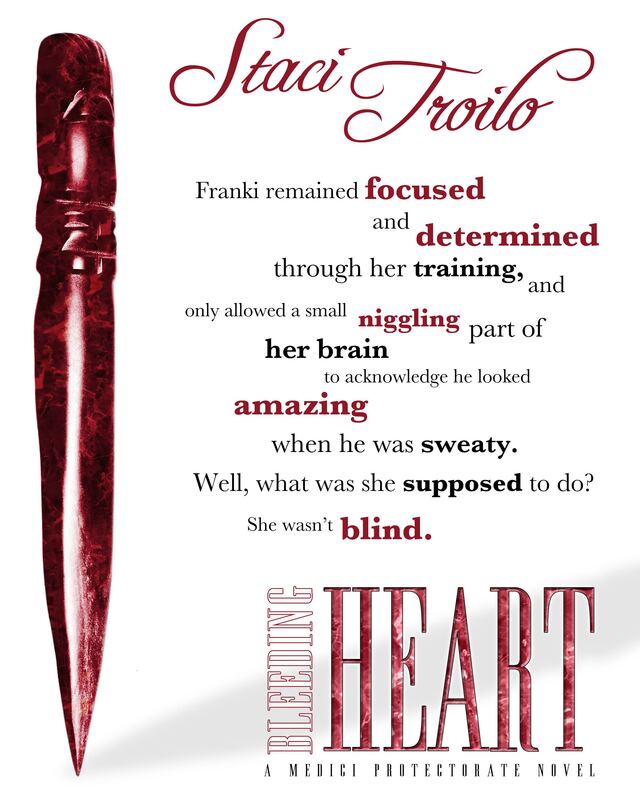 If you like romances and love the potential alchemy brings to a story, I think you’ll enjoy Bleeding Heart, available now at Amazon, Barnes and Noble, and iBooks. Sounds like a great story Staci and and interesting spin having Michelangelo as an alchemist. Look forward to reading it. Thanks, Kath. I appreciate that. I love when an author intertwines historical aspects into contemporary settings. 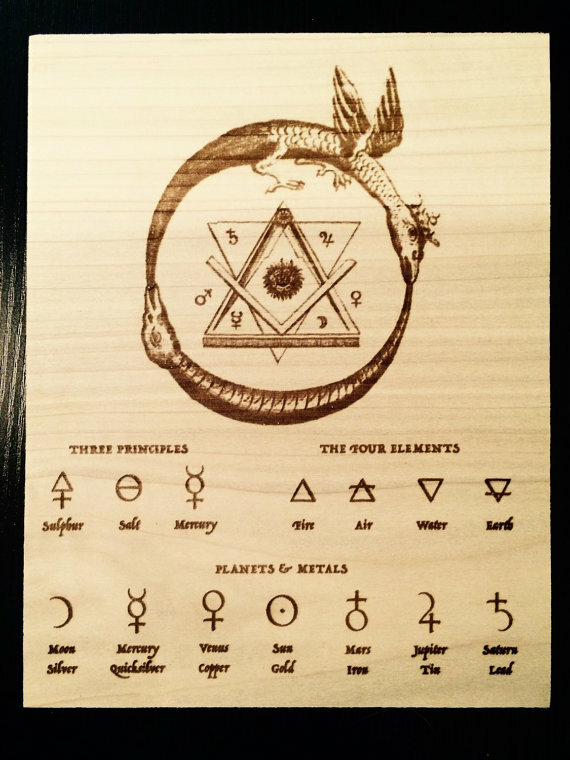 What a wonderful concept you’ve come up with regarding alchemy and the dagger! Thanks. It’s been really cool to research and write. I hope the readers agree! I am a huge paranormal fan. I like all aspects and enjoy how the artists craft their spin on them. 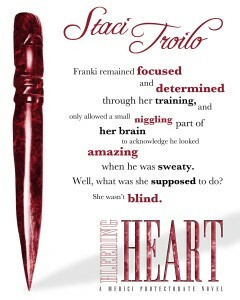 I am several chapters into Bleeding Heart and only stopped when my Kindle battery died. It’s on the charger as I type. I am enjoying the Pittsburgh setting and can visualize the places you mention in the book in my mind. Franki and Gianni have an interesting dynamic and I cannot wait to see how it plays out. Thanks for sharing your inspiration and a compelling read. I’m really glad you’re enjoying it, Michele. I’m enjoying the book, Staci. It’s a real treat. Thanks, P.C. That means a lot.